Recent research found that microneedle vaccine patches are more effective at delivering protection against influenza virus in mice than subcutaneous or intramuscular inoculation. A new, detailed analysis of the early immune responses by the Emory and Georgia Tech research team helps explain why the skin is such fertile ground for vaccination with these tiny, virtually painless microneedles. Microneedle vaccination also may lead to prolonged depositing of antigen – the viral molecules that are the targets of antibody responses. Such a prolonged antigen release could allow more efficient uptake by antigen-presenting cells. In addition, activated and matured dendritic cells carrying influenza antigen were found to migrate from the skin– an important feature of activating the adaptive immune response. “Our research reveals new details of the complex but efficient immune response to influenza virus provided by microneedle skin patches,” says Compans. “Despite the success of vaccination against influenza, the virus has many subtypes, mutates rapidly and continues to elude complete and long-term protection, and therefore requires annual vaccination with an updated vaccine each year. 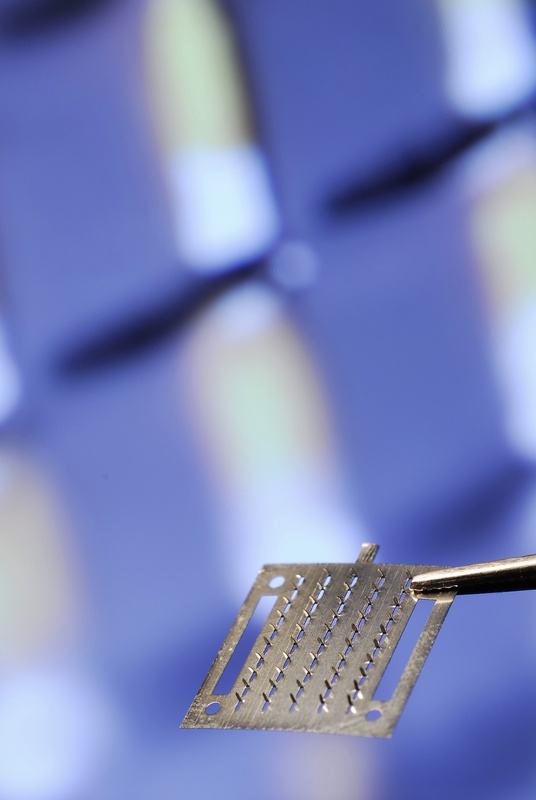 “New vaccine formulations and delivery methods such as vaccine-coated microneedle patches could provide an improved protective response, which would be of particular benefit to those at high risk of related complications. The studies were supported by grants from the National Institute of Allergy and Infectious Diseases (NIAID) and the National Institute of Biomedical Imaging and Bioengineering, which are part of the National Institutes of Health. Dr. Martin was supported by a fellowship from the Emory/UGA Influenza Pathogenesis and Immunology Research Center, a NIAID Center of Excellence for Influenza Research and Surveillance.